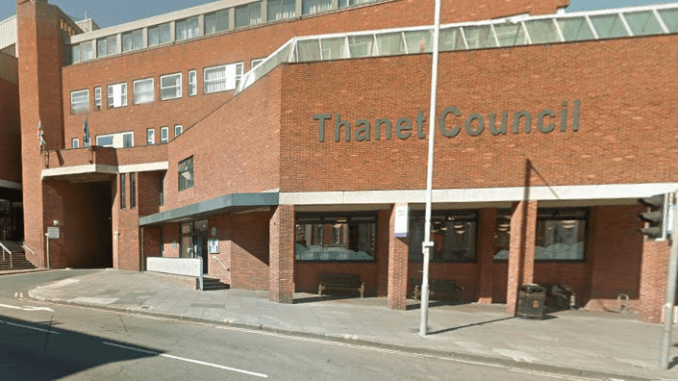 A Thanet council scheme has been launched to bring mental health advice directly to those who may need help. A community safety team is taking to the streets in a dedicated van and will advise people of the help available, including immediate assessment on the ground and setting up action plans. The team will focus on issues that can contribute to mental health crisis, including drug or alcohol dependency and homelessness. The new approach aims to provide a one stop shop, in particular for the long-term rough sleepers who may be in crisis, offering them the full range of support they need. By bringing the services directly to those in need, the team aims to remove the barriers often experienced when trying to access help. The trial scheme was launched yesterday (October 9) to coincide with Adult Safeguarding week (9 – 13 October.) The van will be at the top of Margate High Street on Thursday as part of a homelessness street triage bid. Thanet Community Safety Partnership (TCSP) will also be running a wellness roadshow focused on raising awareness of adult mental wellbeing issues, providing guidance, advice and distributing home safety packs to people who are, or know others who are, affected by these issues. The roadshow is today (October 10) 10am – 12:30pm: in Westgate at the junction of Station Road and St Mildred’s Road and then at 2:30pm – 4:30pm at Tesco Metro in Northdown Road. Cllr Lin Fairbrass, Deputy Leader and Cabinet Member for Community Safety, said: “We are always looking for innovative ways to help those most vulnerable in our community, so taking help directly to those who need it the most and limiting the barriers they face when seeking assistance is a very positive step. Kent’s Police and Crime Commissioner Matthew Scott said: “I was delighted last year, on behalf of the Kent and Medway Mental Health Crisis Care Concordat Strategic Group, to secure £9,000 from the Department of Health for this project. “The van will enable local agencies to engage with more hard-to-reach communities in Thanet and, by signposting vulnerable people to other services in the community, it will also help cut the numbers of people with a mental health issue who have to be taken to a police cell for their safety. Other agencies involved, include: Ageless Thanet, Age UK Dementia Friends, Department for Work and Pensions, Margate Task Force, Kent Police, KMPT Crisis Team, KFRS, Thanet Community Mental Health Team, KCC Wardens, TDC Community Safety Team, TDC Housing Options Team.